The twelfth century CE was a watershed moment for mysticism in the Muslim West. In al-Andalus, the pioneers of this mystical tradition, the Mu'tabirun or 'Contemplators', championed a synthesis between Muslim scriptural sources and Neoplatonic cosmology. 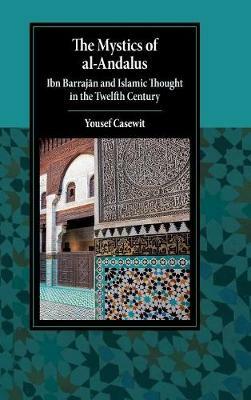 Ibn Barrajān of Seville was most responsible for shaping this new intellectual approach, and is the focus of Yousef Casewit's book. Ibn Barrajān's extensive commentaries on the divine names and the Qur'an stress the significance of God's signs in nature, the Arabic bible as a means of interpreting the Qur'an, and the mystical crossing from the visible to the unseen. With an examination of the understudied writings of both Ibn Barrajān and his contemporaries, Ibn al-'Arif and Ibn Qasi, as well as the wider socio-political and scholarly context in al-Andalus, this book will appeal to researchers of the medieval Islamic world and the history of mysticism and Sufism in the Muslim West.